Paper Crafts by Candace: State Travel Blog Hop! And now for my project! I made a layout for my Alaska Cruise that I took in May. 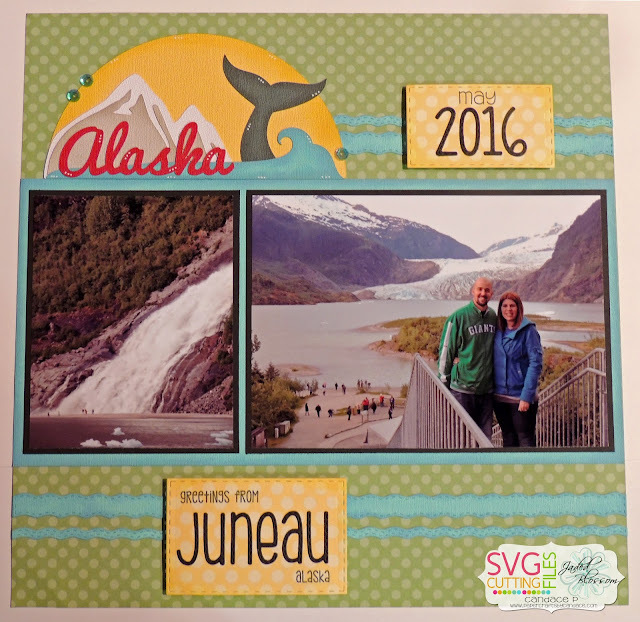 The Alaska title is NEW from SVG Cutting Files! Here is a close up of the title, I LOVE this title! So awesome with the glacier and the whale tale. 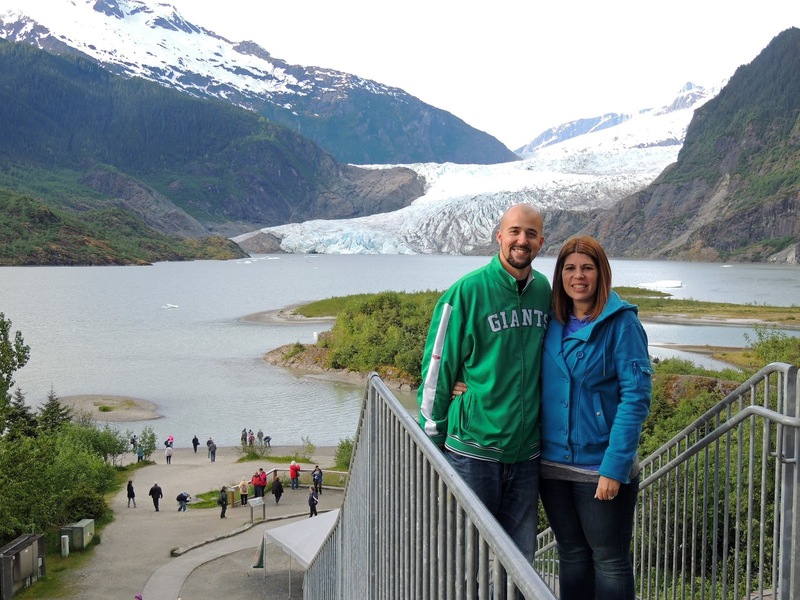 Here is a look at the photos in the layout.. this is me and my husband at the Mendenhall Glacier. Photo really doesnt do it justice, it was gorgeous and sooooo huge!! Here is a look at the waterfall that was just to the right of the photo above. Can you spot the little people at the bottom? 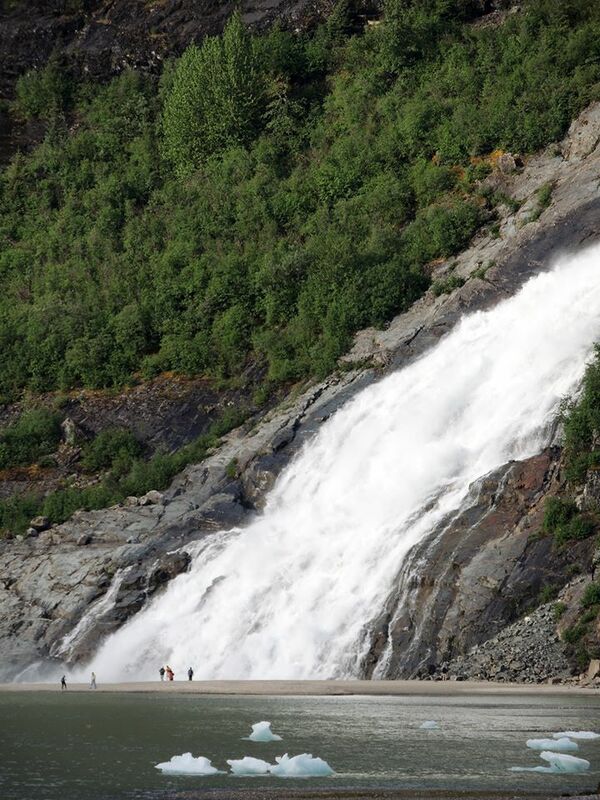 Thats how HUGE this waterfall is. Here is a look at the stamps I used. I love how I can pair the new stamps along with Jaded Blossom's Alphabet Dies. 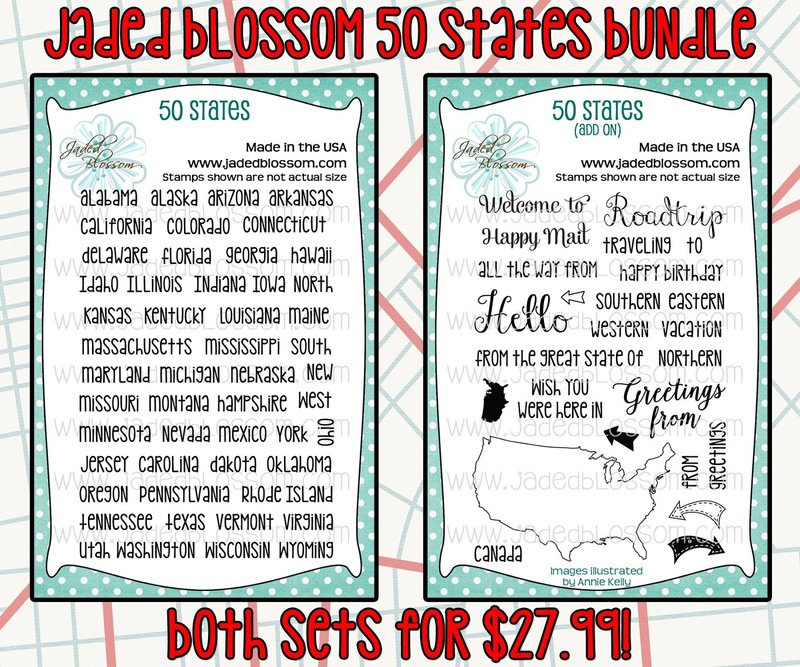 For my layout I used Jaded Blossom's Rectangle Dies 1 and 2, Alphabet Dies, Border Dies and the new 50 States and 50 States add on stamp sets. Awesome layout chickie !!! That is definitely on my places to visit list! Looks sooooo beautiful!!! Your layout is pretty love the blue borders u added and the whale tale! I love this! I have wanted to go to Alaska some day! Love this...I'm sure the beauty of Alaska was unbelievable! Wow! Alaska is beautiful!! Great project! I hope to visit Alaska soon, this is a wonderful layout, love all the little details. Awesome layout! Love that title! Would love to take a cruise to Alaska. Awesome picture of the waterfall. You're right, that is huge! I'm with you and love the title. Very nice. Great pictures and LO!! Love the whale tail in the tile!!! Great Layout! What a lovely picture! What a fun blog hop! Your trip looks ahmazing! Wonderful layout of your trip. I like the whale tale. Gorgeous LO! I need to travel more...Alaska is again on my bucket list. Looks Great. This is on my bucket list, cruise to Alaska. Beautiful page for a beautiful trip. Wow! Beautiful layout and love your color choices. This layout is absolutely stunning. I envy your travel adventures!!!! love it!!! I'm hoping to make a trip to Alaska in the next few years - it's at the top of my list - and this would be perfect! 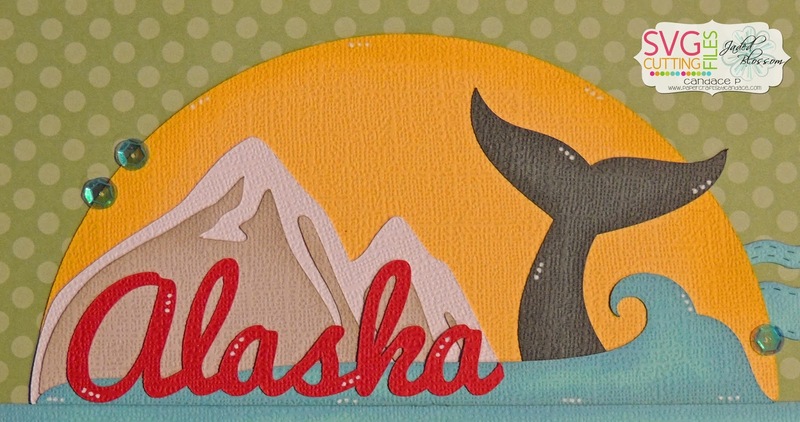 Love the scrapbook page, the whale's tail is perfect. thanks for sharing.. Awesome Layout. We were in Alaska last year and this gives me inspiration. That is a really cool layout. Fantastic LO! I bet your trip was awesome. The pictures are gorgeous so I bet it is really something to see it in person. Great layout and pictures... crazy waterfall. Love the whale tail.